Lifeweavings #2. 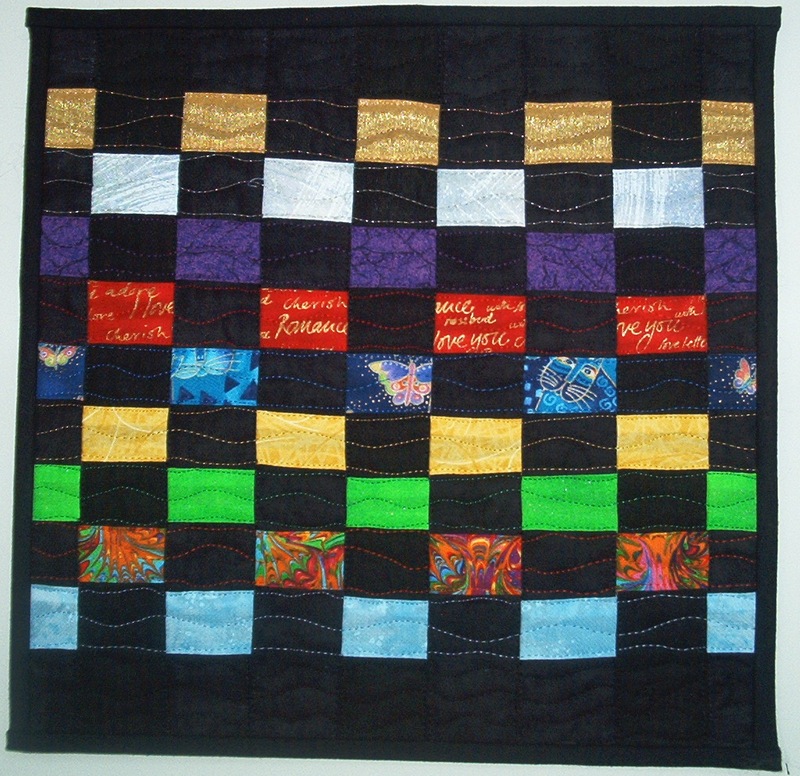 Woven strips, free-motion quilting, rayon on cotton. (c) 2009, Joni Beach.